The Woollen edition kitchen knife is slightly larger than our Chef. This multi purpose kitchen knife features a woollen resin handle. It features a 10″ O1 tool steel blade; 2.4mm Flat ground stock, tapering to the tip. 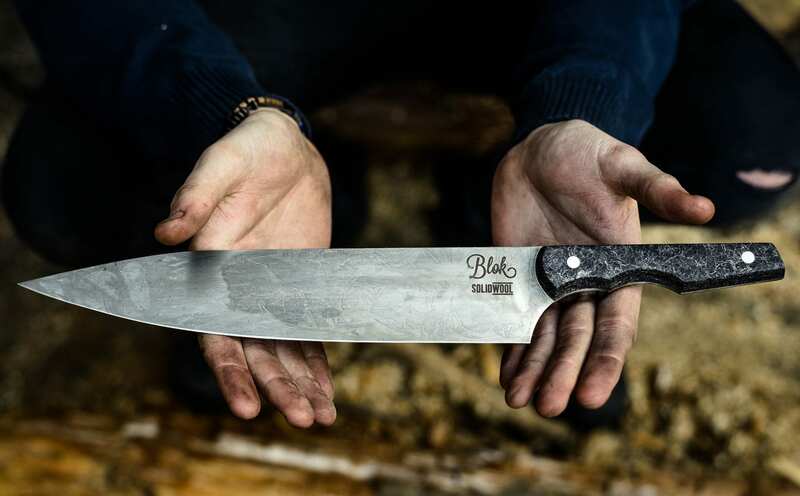 All of the knives are full tang and made from Carbon Steel. A fine grain structure allows for a very keen edge. Over time, a patina will form on the surface of the metal, documenting the knife’s journey as it’s put to work! We use a variety of woods from Burrs to Burls. All the wood is treated, helping to protect it in a cooking environment. We also produce a special edition range using a Woollen Composite. Register now to receive email updates when our knife sales are about to start! 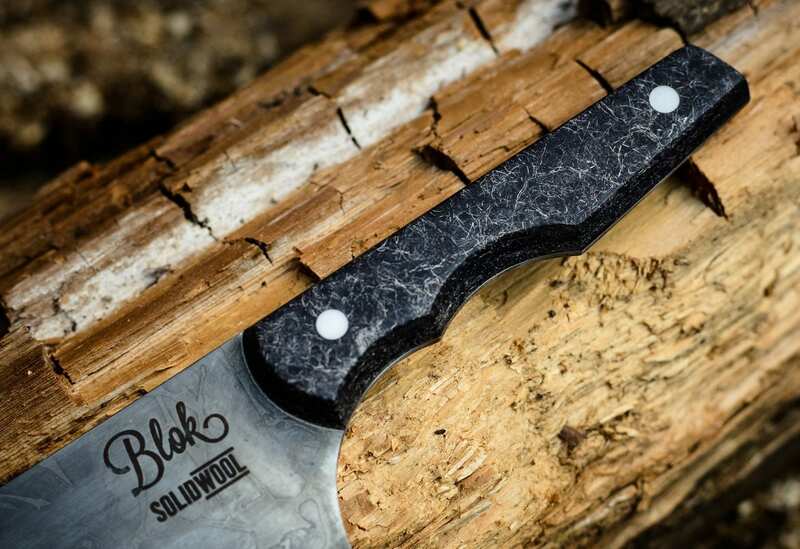 If you'd like to place an order for a specific knife, add yourself to our waiting list. We sell a handful of knives on our website at 1pm every Friday. Get your Friday reminder below. This man is on the cutting edge. The Aston Martin of the cutting world! 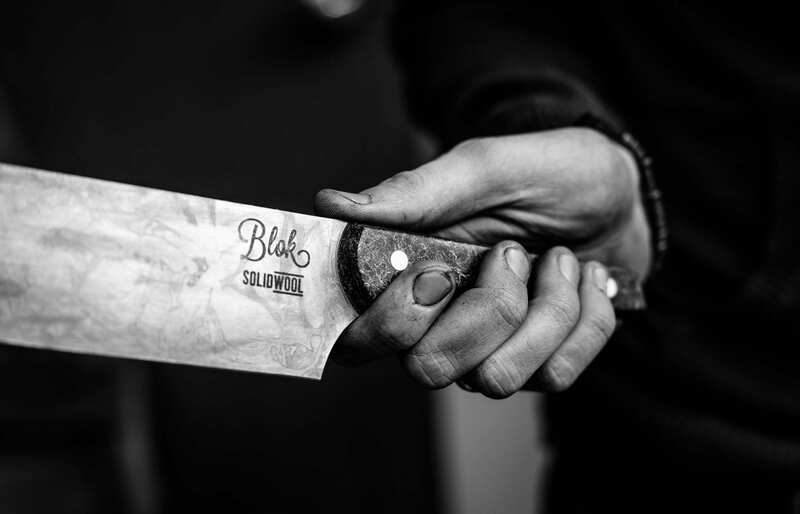 Blok have produced me something I’ve wanted for several years… our own British knife, made in Britain, by an English craftsman! I wanted to let you know how utterly thrilled I am with my knife, it is absolutely amazing! I love it! The weight is perfect, the balance is bang on, the blade is generous, and the tip exquisite... and it looks almost gladiatorial.